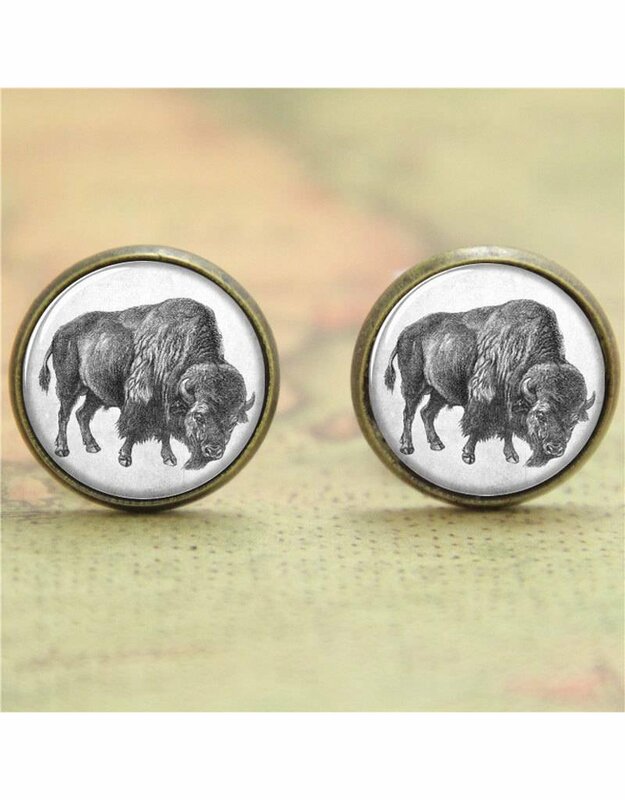 Like our mighty Marco, but in real life, these antique-y buffalo earrings will be a fun accessory for games or wherever. Whimisical and with a sense of humor is how you can wear these. 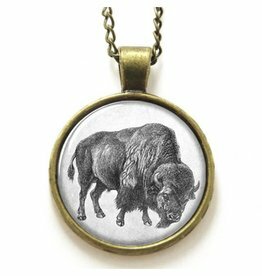 The image is covered in domed glass. 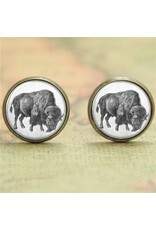 The earrings measure approximately 16 mm. Brass-toned copper push-back earrings.